Mike Hammer’s secretary and partner Velda has walked out on him, and Mike is just surfacing from a four-month bender. But then an old cop turns up murdered, an old cop who once worked with Velda. 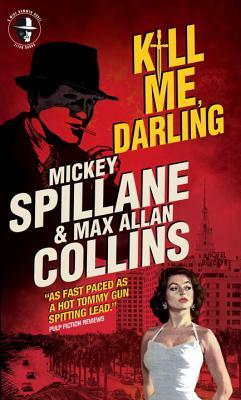 What’s more, Mike’s pal Captain Pat Chambers reveals that Velda is in Florida, the moll of gangster and drug runner Nolly Quinn. Hammer hits the road and drives to Miami, where he enlists the help of a horse-faced newspaperman and a local police detective. But can they find Velda in time? And what is the connection between the murdered vice cop in Manhattan, and Mike’s ex turning gun moll in Florida?